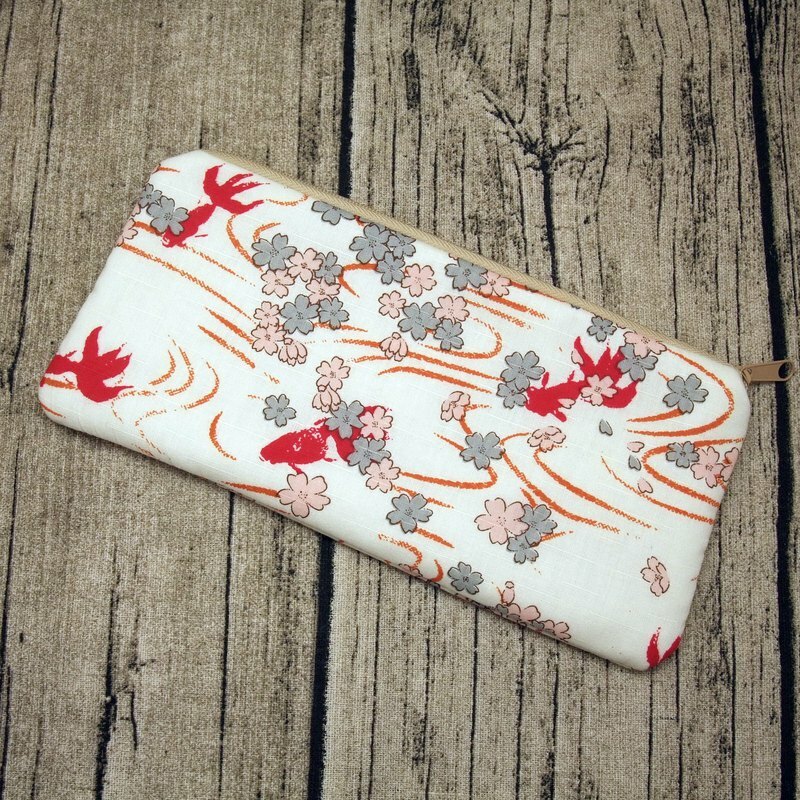 This large zipper pouch is made from pretty and high quality cotton fabric. The pouch has been padded with batting to give extra softness. It is perfect for filling with your stationery, digital camera, cosmetic, glasses, cell phone, coins, keys .......... Pouch measures approx - wide: 8-1/2 inches (21 cm) high: 3-3/4 inches (9.5 cm) ★Production time : 4 - 5 working days ★Shipment by Standard International Airmail ★Kindly pls be noted that the fabric placement may vary. Handmade product From Hong Kong PinkoiENcontent Thank you very much for visiting!